“No whining, no griping, pull yourself up by your bootstraps.” That’s how Susan Story describes the hard lessons she learned growing up in rural Alabama. Then why is the corporation she leads as Chief Executive Officer (CEO), American Water, complaining about opposition to its plans in West Virginia? The president of its subsidiary there has said the corporation is “between a rock and a hard place.” Faced with aging pipes across nine counties, American Water wants to charge West Virginia residents more to replace those pipes. But the corporation, the country’s largest publicly traded private water utility, also wants to make a profit on the deal—a 9.75% markup to be exact. That would be on top of the $476 million in profit they made last year across 47 states and Canada. 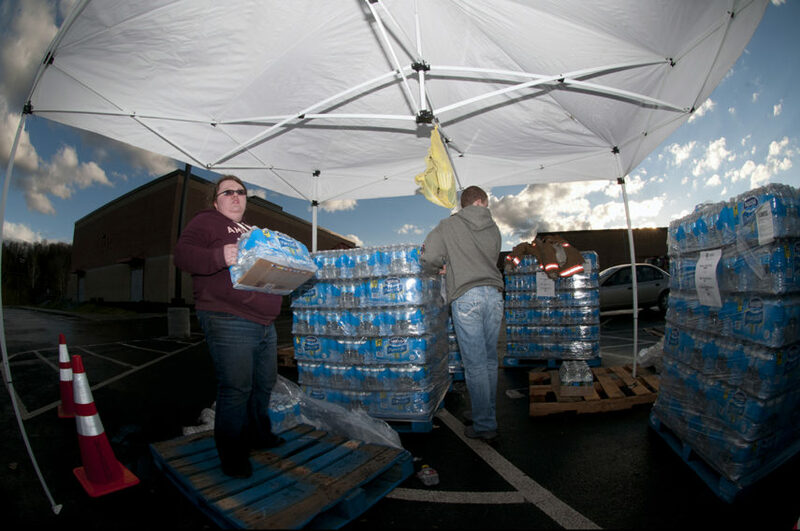 West Virginia residents served by American Water aren’t having it. Rates have already gone up five times in nine years, making their water the fourth most expensive among major systems in the country. On top of that, American Water is implicated in the infamous 2014 chemical spill that forced nearly 300,000 people in those nine counties to go without water for days. They also provide water in nearby Pennsylvania and Ohio for shale gas drilling, also known as “fracking,” a strange side business for a corporation hired to provide clean water to the public. education, the environment, and more) once a week in your inbox. Residents want their water back. “A publicly-owned utility is going to ensure public health and wellness is placed above profits,” says Charleston City Council member Karan Ireland. She’s right. When corporations buy or operate water utilities, the public loses control over water and the decisions that go into providing it. Corporations can cut costs by delaying needed maintenance or letting go of employees, which can slow response time to emergencies. Private water is also more expensive. Across the country, private water systems typically charge 58% more than those owned by the public. The impact of privatizing water fits a familiar pattern. As we’ve detailed, the privatization of public goods like water, education, and transit has helped fuel an increasingly unequal society. Removing a fundamental human right like water from public control really only makes sense to corporate executives and investors. Though making sense doesn’t seem to matter all that much to them. After receiving $164 million in tax breaks earlier this year to relocate American Water’s headquarters to Camden, NJ, Susan Story said, “In all honesty, the tax credits make it more attractive to be in Camden.” American Water needed help from Camden. What was that about bootstraps? We’d love to hear from you: info@inthepublicinterest.org. Please sign up for our newsletter. You’ll get a story about privatization’s impact on the public (prisons, education, the environment, and more) once a week in your inbox. Is the Tragedy in Flint an Opening for Privatization? Will the Supreme Court Supercharge Privatization?